Smile makeovers offer a way to enhance your appearance with some simple corrective dental treatments. An experienced dentist like Dr. Lopez can fix those damage teeth, restore whiteness, correct your bite, and fix other flaws that could be standing between you and that perfect smile. As the name suggests, a smile makeover gives your smile an all-new look. This is essentially a popular name for what’s known as Restorative Dentistry. It is designed to bring back the healthy appearance of your teeth while also fixing any problems you might have. 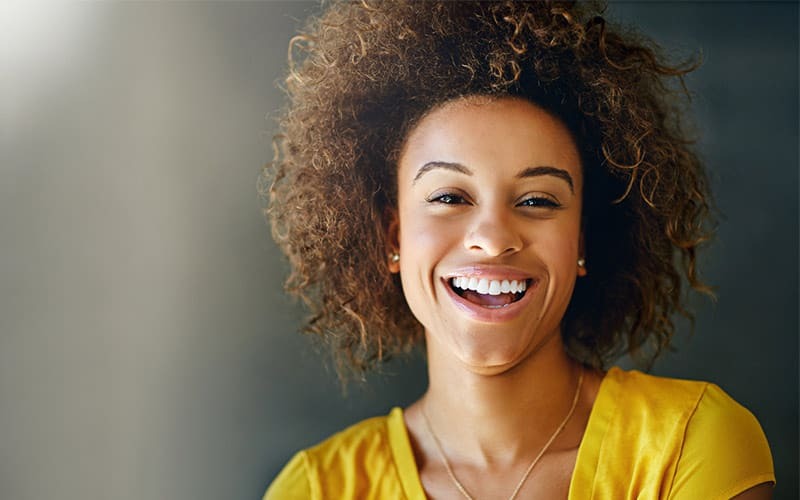 A makeover may involve a combination of cosmetic dental treatments that can help improve a person’s smile, bite, and general appearance of the teeth. Your dentist might recommend things like crowns, dental implants, bridges, dentures, teeth whitening treatment, veneers, or orthodontics. It could also include alternatives to correct a bite problem like Invisalign which is the latest in dental technology or the more traditional option of braces. WHO IS ELIGIBLE FOR A SMILE MAKEOVER? If you feel your smile could do with an upgrade or a helping hand, you should consider asking about a smile makeover. For some people, a smile makeover can really work wonders. If you have one or more of these problems, you’re a great candidate for this dental treatment. If you have teeth concerns that aren’t listed here, check with one of our dentists about what your options are. Chances are, there is a way to fix that problem too, so go ahead and ask! Giving someone a great looking smile isn’t as easy as it sounds. The dentist needs to have a trained hand and an eye for perfection. It isn’t enough to just be a great dentist. It also takes an aesthetic sensibility. An experienced dentist like Dr. Lopez at Somi Dental Group, for instance, has handled countless cases of cosmetic dental work and is well equipped to guide you in your makeover. Combining years of experience with his eye for detail, he works to custom create the smile that works best for you, given your facial features, facial structure, and existing dental condition. When you ask your dentist for a dental makeover, they will do an evaluation of your teeth and check for any issues that need to be tended to first. For instance, if you have cavities that will need to be treated this will need to be done first. If the dentist notices some infection or gum disease, he may prescribe a treatment for that first as well. Your dentist will discuss your expectations and suggest the various options in front of you. Together you will come up with the desired end result for your teeth, after which the actual dental work will begin. Depending on how extensive the dental work in your smile makeover is, you might need to set aside time for multiple sittings. Some people also have issues with their gum line causing them to have very “gummy” grins. The dentist might then recommend having a gingivectomy first, to reveal more of the teeth. Even this is dealt with via a laser treatment with minimal discomfort. GET YOUR SMILE MAKEOVER TODAY! If you can’t wait to get that new look smile, it is a good time to call the team at the Somi Dental Group in Florida. Located in Miami, this state of the art facility combines expert dental care and the aesthetic sensibility that a good smile makeover needs. You’ll be able to make the most of the latest painless dental makeover options including Invisalign and natural looking porcelain crowns. Led by experienced dentist Dr. Arnaldo Lopez, you’ll be well taken care of by this warm and friendly team. Drop in at the center in South Miami (5966 S Dixie Hwy, Ste 312, South Miami, Florida, FL 33143) for a consultation or make a quick call to (305) 239-9273 to find out more.